Peak News Issue number three. 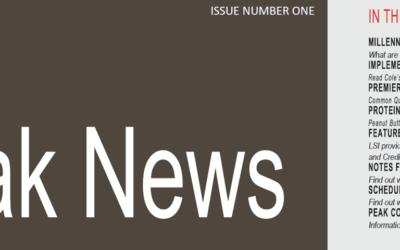 Peak is excited to publish our 2018 newsletter! Peak has had a very eventful year and would love for you to hear about it. The Peak 2018 Newsletter contains notes from the president, information about our conference, interesting articles, and so much more. 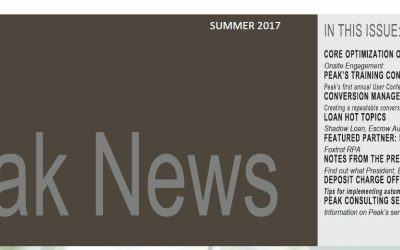 Please click below to view our newsletter. 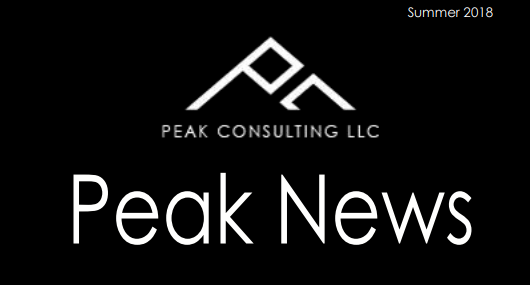 For more information on Peak Consulting, please send us an email at info@peakconsultingllc.com or go to our website.